12% of the people who took this quiz got the same evaluation. Last Saturday, I mowed my lawn and then planted my first flowerbed full of flowers. In between those two tasks, I contemplated trimming the holly bushes in front of my house. They REALLY needed it (and I had borrowed my Phillip-in-law's electric hedge trimmers last week), but I wanted to save my energy for the 60 flower plants to come. So, I procrastinated, thinking I would work in the yard again one night this week and conquer those bushes. Well, I was piddling around the house on Saturday, slowly getting ready to head out to the birthday party, and thought I heard something in my front yard. I peeked out the window in my bedroom and saw my neighbor and his son trimming my bushes for me!!! They even hauled off the clippings so I wouldn't see them piled in front of their house. I would have assumed that it was them, but actually seeing them trim my hedges was confirmation. I debated about what to do to say thanks - since clearly they didn't want me to know - and decided that a note would suffice for now. So, I wrote a note (not letting them know that I knew for sure it was them!!) and placed it under the wiper on Scott's Explorer parked in the driveway. It sure is nice to have good neighbors. p.s. for those that know....the class I took a few weeks ago? well, I passed the qualification tonight!!! in a way, it was easier than I thought -- in other ways, it wasn't. but now it is over, so I'm happy!!! now to mail off all the paperwork, and then I'll have my license! My cousin Blake's little boy Andrew turned one this week. I went to a family party for him this afternoon.....lots of fun pictures to share...Andrew had 3 cakes! The lamb cake is a mold that was used for both my mom and aunt's first birthday, as well as mine, my sister's and both my cousins. And then we had a cow and pig to eat! look at that tongue sticking out! The supplies - 3 flats of begonias (20 per flat), one container of plant food, 6 bags of potting soil. I did spring for the larger, slightly more expensive plants so that they would look pretty immediately. Last week, I told you about a free music offer. I got my free CD and immediately ripped it to my iPod. I've also put the CD in my car. A quick review? It's great! My suggestion to you? Go out and buy this CD. I was able to sing along with several songs the first time through. 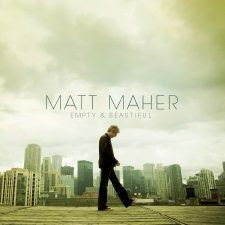 Granted, they may have been recorded by other artists, but Matt has a good sound and the songs are catchy. My early fave is track #11 - Lay it Down. Had to listen to it over and over. Found a fun website today ...... My Live Signature. Use it to create an electronic signature -- about 100 fonts to choose from, as well as choosing size and colors. You can append the signature to emails or blogs! Have fun creating! No idea if there is any truth to these or not, but they sound right anyway! Baths consisted of a big tub filled with hot water.The man of the house had the privilege of the nice clean water, then all the other sons and men, then the women and finally the children. Last of all the babies. By then the water was so dirty you could actually lose someone in it. Hence the saying, Don't throw the baby out with the Bath> water. The wealthy had slate floors that would get slippery in the winter when wet, so they spread thresh (straw) on floor to help keep their footing. As the winter wore on, they added more thresh until, when you opened the door, it would all start slipping outside. A piece of wood was placed in the entrance way. Hence the saying a thresh hold. In those old days, they cooked in the kitchen with a big kettle that always hung over the fire. Every day they lit the fire and added things to the pot. They ate mostly vegetables and did not get much meat. They would eat the stew for dinner, leaving leftovers in the pot to get cold overnight and then start over the next day. Some times stew had food in it that had been there for quite a while. Hence the rhyme, Peas porridge hot, peas porridge cold, peas porridge in the pot nine days old. You are laid back and very friendly. Cheery and sunny in disposition, you usually have something to smile about. Style is important to you, as long as you can stay casual. It takes a lot to get you to dress up! You are a loyal and true person, though you can be a bit of a flake. You tend to "play hooky" and blow off responsibilities a lot more than most people. I am a font addict. I have so many fonts that I've downloaded it takes FOREVER to pick one out when I need it. I've even purchased a few, but the vast majority have come from scouring the web for free fonts to download. You can do all kinds of creative things: invitations, letters, cards, letterhead, newsletters, calendars, etc.......or just the everyday mundane tasks of budgeting! And isn't any task on the computer more bearable if it is created in a fun font? This week on Shannon's Works for Me Wednesday , she led me to another great resource to feed my habit. Urban Fonts has (in Shannon's words) "roughly 38 quadzillion free fonts." And she is right! So, there. I've confessed to the whole internet: I'm a font addict. Meet the New Thin Mint? Thin Mints are probably my favorite Girl Scout cookie (followed closely by the Caramel Delights). Thin Mints: The most enduring and universally familiar Girl Scout cookie. These round, mint-flavored cookies covered with dark chocolate perennially sell the most boxes of any cookie. Thin Mints have never changed their name. Little Brownie Bakers and ABC Bakers both make Thin Mints. 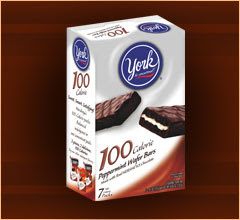 Indulge in the sensational combination of YORK peppermint creme, layered between two light crispy chocolate wafers and covered with real HERSHEY'S chocolate. Each box contains 7 individually wrapped 100-calorie servings which are perfectly sized snacks for enjoying any where, any time. Conveniently packed to toss in your purse or desk drawer and enjoy as a delicious light treat. It's not exactly a Thin Mint, but pretty close. The 100 calorie business is deceiving a little bit - 4 Thin Mints are 150 cal/7 g fat while the York packages are 100 cal/6 g fat. So, not much better for you than Thin Mints. But it'll do as a stop gap when it is not Girl Scout Cookie Time! Thanks again to BooMama for providing an opportunity to get some free new music. It's only open to the first 100 bloggers with 50 or more unique visitors a month to your site....so hurry! About 2 months ago, my sister emailed me to see if I was interested in a Sister Getaway weekend before the baby comes. We don't get to spend much time just us anymore, so of course I said YES! Back in the mid-1970s, my grandparents retired from Ft Worth to Granbury, a little town of about 6,000 about 30 miles away. Granbury has a great historic square with fun shops that we always enjoyed exploring when we went "into town" while visiting them over the years. And since my grandparents moved away almost 5 years ago, I hadn't been back. Last spring Heather went on a weekend trip with her best friend Cara and they headed to Granbury and stayed at a B&B just off the square. So, when Heather and I started talking about going, I suggested we just go there! So Friday afternoon we headed out of town. Even though we left early, Friday afternoon traffic is never fun. A trip that should have taken us about 90 minutes, was almost 3 hours!! We finally pulled up to Manor of Time B&B about 6:30. Got checked into our room and then headed back out to find somewhere to eat dinner. We walked about 2 minutes to the edge of the square and stopped at Babe's Chicken Dinner House. Our yummy family style fried chicken dinner served us a whole chicken (! ), mashed potatoes, salad, corn, green beans and biscuts. Yum. But WAY too much chicken! So, we brought home leftovers. Saturday morning we woke to the smells of a yummy breakfast cooking. Eggs, german pancake, hashbrowns, bacon, fruit and banana bread got our morning started off right! Then we headed out for some serious shopping. We spent most of the day going in and out of all the shops in the square - stopping for lunch at a fun tea room and then for a mid-afternoon ice cream treat before heading back for an afternoon siesta. We ventured back out for dinner at Ayala's - we grew up eating at the location out closer to our grandparent's house. Too bad the location off the square wasn't as good! Our server was a teenage boy who just acted like he didn't want to be there. We had to ask him for things several times and he just gave up when he couldn't figure out how to turn on the fan! Oh well. Sunday morning was another yummy breakfast -- this time we had people to talk with! Two other couples had rooms on Saturday night and we were all around one table. It was fun to visit with them and not too awkward, thank goodness. Then we headed back home. It was a nice relaxing fun weekend. When I got home, I realized that my poor yard was in dire need of another mowing. Blech. So, I planned to work in the yard tonight. My neighbor was mowing when I got home, so that motivated me to get moving quickly. I hate being the unkempt yard in the middle of two freshly mown yards! After mowing, I whacked down some weeds in a flower bed and sprayed some yard-safe weed killer over the front. Then I turned my attention to the back yard. My parents brought me a bird bath shortly after I moved in that was in the backyard of the house I spent most of my growing up years in. When they re-landscaped the yard, there was no longer a home for it. Then last fall or winter sometime, they brought me the circular concrete edging that always created a flowerbed around the base. It had sat over on the sidewalk since then. So a couple of weeks ago, I finally set the edging in place to get an idea of where it should go. And tonight I dug out a trench and set it in place. My soil was pretty much like clay or mud, so it was harder going than I thought it would be. And that St Augustine grass sure is hard to separate out! Those trailing pieces just like to stay attached! But I finally got it done. It might not be quite right, but I don't think the edging is going anywhere. Now I just need to get some good potting soil so that I can plant some flowers! After a nice hot shower, I'm relaxing on the couch tonight watching the NCAA finals. I'm not that big of a basketball fan, but my friend Sara is a HUGE Kansas fan, so I'm watching for her. Rock Chalk Jayhawk!! Feel like playing hostess again???? (This is ONLY if you are TOTALLY WANTING to do this!) We are planning a trip soon. I remember one of your resolutions was to host a dinner party each month with 6 or more guests. I joked that we would LOVE to fill up one of those months on our next trip and you said you'd love to have us. Well, we are coming!!! (but you don't have to do this if it doesn't work for you). The following are the nights that we'll be there, March 28-31st. We plan to spend our time visiting family and friends but don't have anything planned yet. I thought I'd check in with you to see if you'd like to host a "friend dinner" PLEASE don't feel bad if this won't work. I'm only putting a "feeler" out there so it's not a big deal if we need to go with plan B! Because the girls weekend had been on the calendar for so long, the only date of the options that I had available was last night, March 31. So, we planned a dinner party! Jaime sent me a list of folks she and Murray wanted to include and off we went. We had great attendance -- 9 out of 10! Jenny & Jack, Marc & Maria, Murray & Jaime, Holly, and Brad (whose wife Laura couldn't come at the last minute). Back in August of 2005, Jaime was able to come to a Dinner Club at my apartment and commented at some point about how much she enjoyed my disgusting potatoes. So, the stage was set to start planning this meal around that oh-so-yummy dish. I've evolved the monthly dinner party resolution to include making a different meal for each dinner party. That is, not allowing myself to rely on my old standby dishes each time. I want to make new things, try out recipes from my box that I've never made that my mom makes, etc. Basically, to get me thinking creatively about dinner. And using ingredients I have on hand (like a lot of ground beef!!) rather than reverting to the easy chicken dish. I'm never good a remembering to take photos, so no visual aids this time. And I'm too messy a cook to take photos along the way through the cooking process. Suffice it to say, it took me all day yesterday to get it all ready! Thankfully I had decided to take the day off and I sure am glad that I did! It all turned out quite well, if I may say so. I've got some leftovers, but not so much that I'll be eating them forever! And we were having so much fun visiting and laughing that it was after 11:00 before everyone left! A couple ideas sprang from this dinner party.....1) at the end of the year, I might compile a little cookbook of the 2008 parties with recipes and 2) for April I intend to do the entire menu from recipes I've pulled out of magazines that I've never made before. Just for fun!